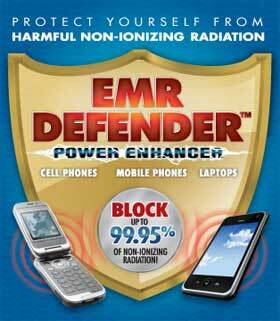 EMR Defender Cell Phone Power Enhancer Simply the Best way to protect from radiation!! 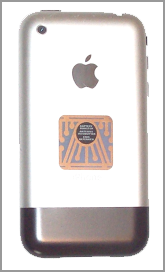 In 2010 our engineers designed a new product that will give your cell phone a huge advantage. The Cell Phone Power Enhancer was designed to stabilize the battery between charges by a patent pending infusion process, thereby improving battery lifespan, increasing antenna strength by five times for improved voice and data reception, and aids in counteracting the effects of cell phone radiation. Our cell phone has become an important link in our personal life and business life. Without our cell phone working at PEAK PERFORMANCE we find ourselves frustrated in its function. In a recent survey, the mobile phone service has been viewed as the second-lowest ranked industry when it comes to customer satisfaction. How many times have you complained about your cell phone battery dying too soon, and too often? Or your antenna signal not up to standard. It happens to all of us at one time or another whether you’re working, or just on a weekend event. You pick up your cell phone to make a call and either there’s no battery life or no antenna signal. We offer a unique product that has been evaluated and tested for the purpose of improving battery lifespan between charges, improved signal reception, and guards against EMR (radiation). Cellphone Power Enhancer is powered by Infusion Technology that stabilizes the cell phone’s battery between charges. This is achieved by a patent pending process where the material is infused with an electrical charge that makes the cells of the battery enhanced with additional energy. Cellphone Power Enhancer provides a signal 5 times greater than your cell phone’s antenna thereby improving voice and data reception. Designed for portability and mobility; get better reception in your home, office, car, parking lots, hotels and airports. Cellphone Power Enhancer is programmed with the same Infusion Technology that aids in counteracting the effects of radiation. 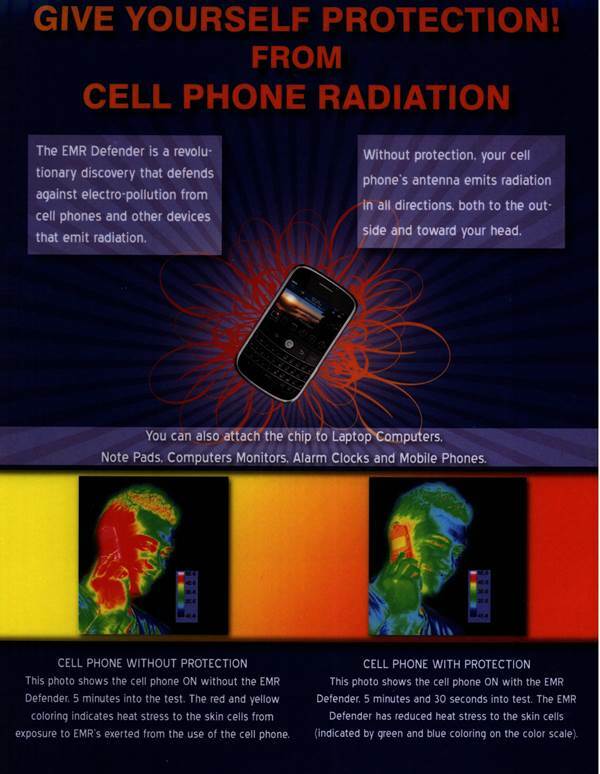 This neutralization process reduces the damaging effects of radiation that emits from your cell phone. Most cell phones give you access to your battery pack. Simply attach the Power Enhancer to the battery pack. For cell phones like IPhones and other restricted access areas, place the Power Enhancer directly on the back of the cellphone. Replace once every year.